I will keep this brief, so lets get down to the dirty. It has come to my attention that there are several facts about our universe which contradict one another. Yes, I am talking about expanding space of the universe. 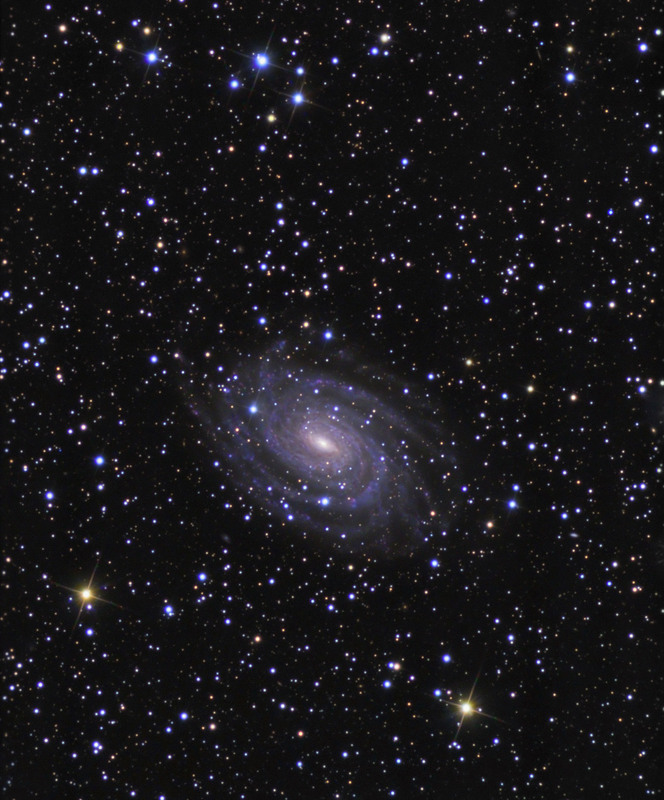 Space as we know it on earth is very dense. True, that some objects have stronger chemical bonds than others, for example: rocks and water. On earth however, every natural bit of space is used up. Air is harder to see, but it is there. Once we get off Earth, space frees up its hold a little and the space between particles gets bigger. This we know as effects of gravity, best described by holding a blanket with your friends by the four corners and dropping a ball in the middle. The universe is everexpanding which means objects constantly appear further than when you last see them in space. After the Big Bang, all objects should have been moving outward from the center. Right? This point contradicts all evidence of the big bang alltogether! I propose the following solution..
Firstly. We cannot see past a certain distance in space. This is due to the distance. 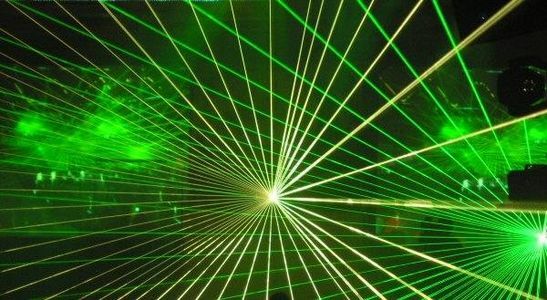 Electrons are shot from a source along with other particles at the speed of light but slow down over distance. This is what allows us to measure distance from stars and galaxies. The further the light-source has to travel the less energy it will have when it reaches its destination. This is called the redshift. As the light paticles travel, their velocity is decreased and they are seen shiffter toward the red side of the light spectrum. After a great distance, the charge would have decreased so substancially that they can no longer be seen by eye. A long distance after they will lose more charge and eventually will not be able to be picked up by our other instruments. Due to the above, we are not able to see to the furthest corners of our universe. Quasars are currently the furthest object which the space and science community can pick up but anything further is within our technological reach and thus is deemed indeterminable. Coming to grasps with this may not be easy, and whats worse? My hypothesis which follows. Here it is, and it is hard to grasp but bare with me. The universe is in a bubble, it is not limitless. There is a place somewhere which serves as an edge of this universe. We and the stars and matter and dark matter are all floating inside this intergalactic capsule. We are not close to the border thus we do not see it but it is still there. Just as Newton stumbled upon the idea of gravity, as have I founded this idea with a natural with a natural product. In this case, the product which aided me was tea. More specifically: tea and water. 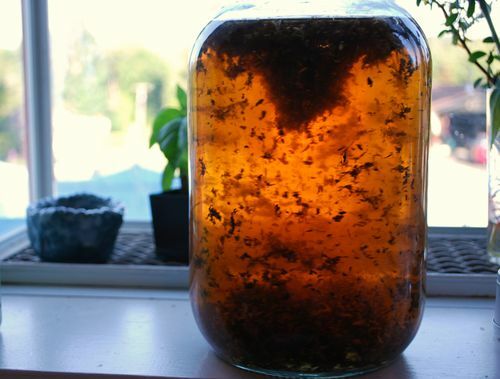 The tea in my experiment serves as dark matter. An example of dark matter is light. We do not see light directly but we see its affects. 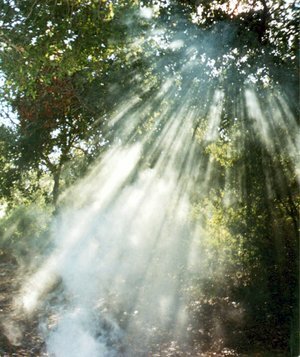 ‘Light rays’ coming through the morning window are not vissible, however they illuminate dust particles and it appears to look like a ray of sunshine. Light is almost everywhere and travels throughout the universe without colliding with other light particles so it always hits its destination. If that were not so, then light (and other electromagnetic radiation) from most stars would have collided and nullified the effects from other stars. In the experiments water is the light and other dark matter. We first pour this water into a clear bottle to start our experiment. The second part is to find some ground tea from japan. Prefferably the tea which has been grown around the exploded nuclear plants in Fukashima. If you cannot acquire this glow in the dark radioactive tea, then a regular teabag will do. We empty two teabags into the bottle. 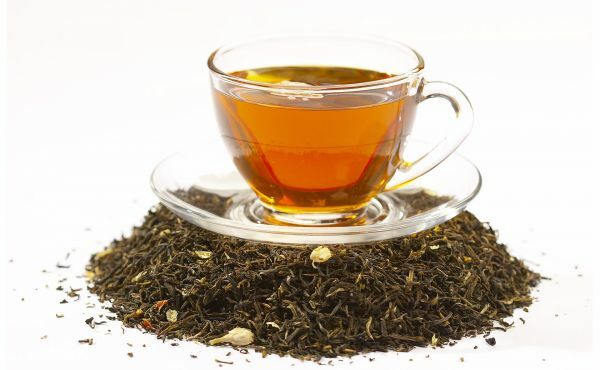 Two teabags per every 1.5 litre of water andshake the contents up by rotating the bottle in a clockwise motion. Inside you will see the matter particles floating around some hitting each other and some not. They do not however all stick together. They will keep spinning in this capsule and some settle on the bottom in the center like a pyramid and some in the top, but most will keep traveling. This is much like our universe. We are encased in a capsule spinning around and the water or dark matter is stopping us from falling to the bottom. If you observe closely, there is distance between the teaflakes. 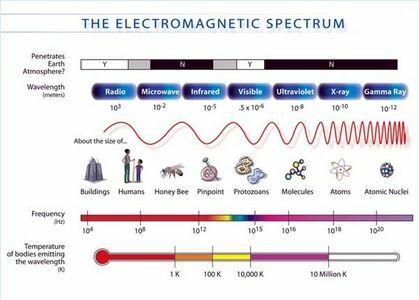 If you imagine a nanometer to be 100 light-years, you will understand how we are so close to the next galaxy and why we do not see the edges. Once in a while the spinning flakes collide. 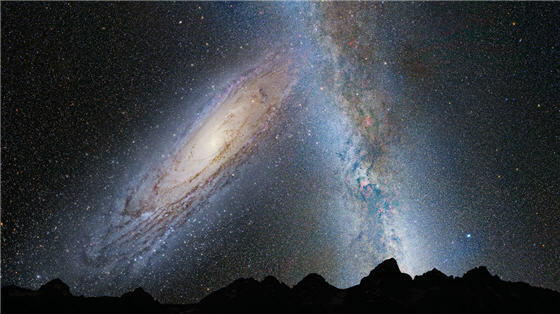 This is what will happen when Milky Way and Andromida will collide. If not for this bubble capsule, we would not have these collisions as all matter would have been constantly expanding. To demonstrate the later, throw the bottle at the floor. If it is made of glass it will shatter and all parts will create a splatter effect with all elements attempting to escape from the center. You will note that there are no crossing paths. This splatter effect is not consecutive with our universe and thus it must be denoted that the universe is in fact encapsulated. If you have any questions or comments, you can leave feedback anywhere on this site. What do you think a black hole is? hoowdydoody: Black holes are easy to understand. Roughly speaking. Black Holes are hugemungous balls of mass which through some chemical reaction (explosion of a large star) has a heavy core in the middle. Due to this, the gravity effect is magnified and it pulls particles such as light as well as normal matter. Basically its a very heavy compressed star. When a supergiant star is burning. 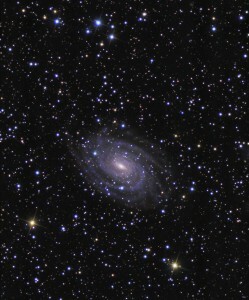 The total mass of the star is big however since the diameter is also large, its mass is spread out. When it collapses, the explosion creates heavier elements which are bunched up very closely. It still has the same overall gravity. 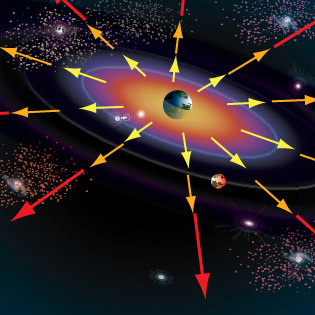 however near the center the gravity is strong enough to pull in particles like light. Imagine you have a cargo ship floating on water with 100,000 tons of containers. this will be our supergiant star. The water can represent spacetime. For example sakes, The bottom of the ship may be 100 feet below the water yet it stays afloat. The yacht will sink because the water it displaces with 90 feet is lighter than 100,000 tons. Similarly. if the star is Big enough to be a black hole, it is spread out. A star’s collapse, the weight changes slightly but the size changes significantly. This in space is similar to what happens to the black hole in its creation. Because density is so high. the gravitational pull of that small are becomes immense. Remember. these black holes are extremely small compared to their giant star counterpart. 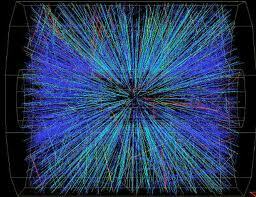 what do you think of the higgs field and suggested discovery? do you think this is the first universe that has ever come into existence? if not do you think that infinite eternities before this universe came into existence could have brought about unimaginable yet logical, rational, and real and true causes to the existence of this universe? do you suggest a cause for the big bang? do you suggest a cause for the existence of the laws of physics,, and why the seemingly infinite amount of energy as the pre big bang universe converted into a highly ordered and organized system uniformly universally composed of atoms constructing up a massive macro physical reality,,, which exists by creating physical mass? you suggest the universe is contained,, suggesting a finite amount of energy and space… do you propose what the pre big bang physical energetic universe consisted of and in? do you suggest outer space is physically composed of something entirely( not just sparse radiation and runaway energetic particles)? when you say light is dark matter.,,., do you mean that in outer space,,, the supposed dark matter observed is all due to light? I am not sure what you mean by this. Light can be considered one of many forms of dark matter. Light is only one of the many different leggo peices you find in the box. There are other dark matter particles which exist and float freely. Light functions as a wave so it cannot be held in your hand like normal matter. It is only called Dark Matter because we cannot see it directly with a microscope. There are other particles which are smaller than atoms that are around us also floating, and completely undetected. I will paint a picture for you why we cannot find them. Take an atom for example. The size of the nucleous compared to the entire atom could be relative to a tennis ball on a tennis court. The nucleous floats around and everything around it is empty space. 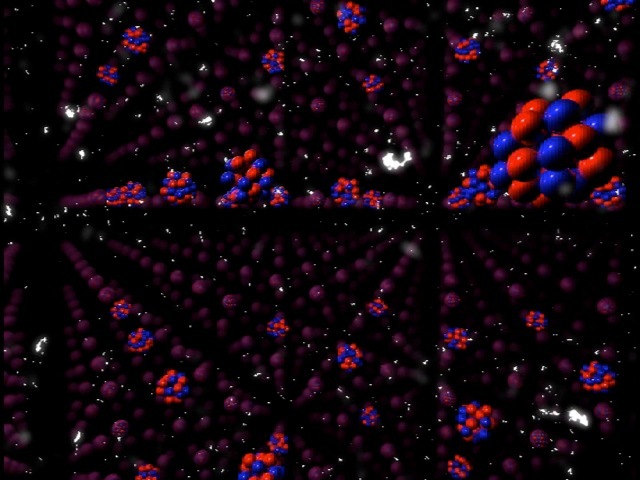 chances of passing particles colliding is almost impossible. Stellar dark matter particles pass through your body and almost none of them create any reaction. You do not feel them because they pass through you. They may also be working under a different set of physics where most of our matter does not even get affected. If so this would be like trying to hit a tennis ball with a racket that has no strings. 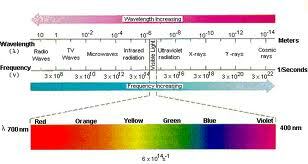 You can see an example of this on the TV show about our universe. Technically, this is possible, and very probable. Due to this fact our scientific instruments cannot detect these particles, yet they may shape the spacetime on which we travel.